This design was named after Christopher's eldest daughter who was born happy. She is just always smiling and is a constantly kind and generous girl. Not only that, but she's also simply beautiful....very like the design that is named after her. A pretty six-claw setting accentuates the beautiful 1ct round brilliant-cut diamond. 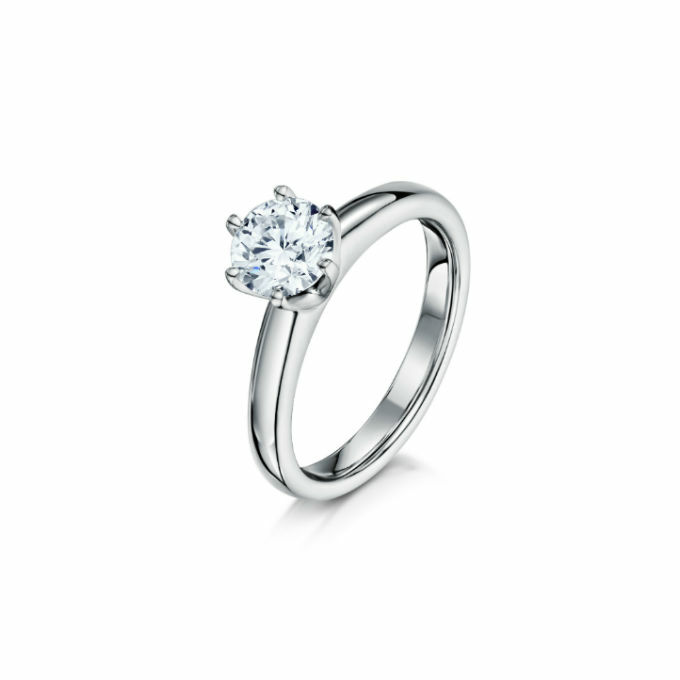 This version is all in platinum, but the design can be tailored to suit your specific requirements with regards to precious metal preferences and diamond size.